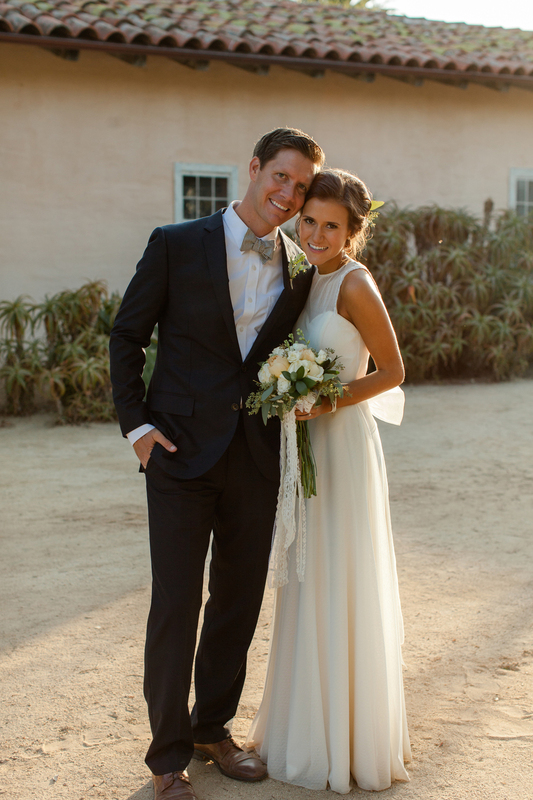 Kylee & David were married on a beautiful, sunny day at The Santa Barbara Historical Museum in Santa Barbara, California. Our a&bé bride looked radiant in her Natalie bodice and May skirt by Rebecca Schoneveld, complemented by a long Rae veil by Sara Gabriel and white flowers in her hair. 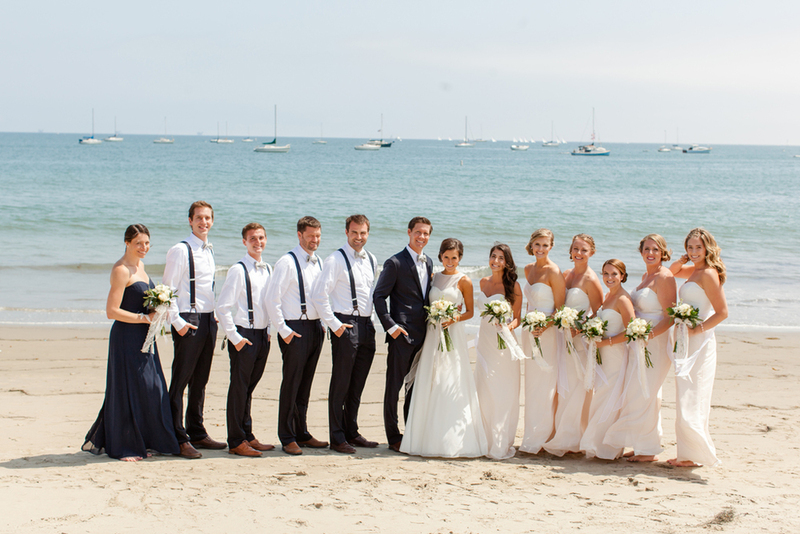 The bride and bridesmaids looked lovely on the beach in their light colored dresses, holding gorgeous flower bouquets by Florabundance. The kiddos in the photos look precious in their formal wear. 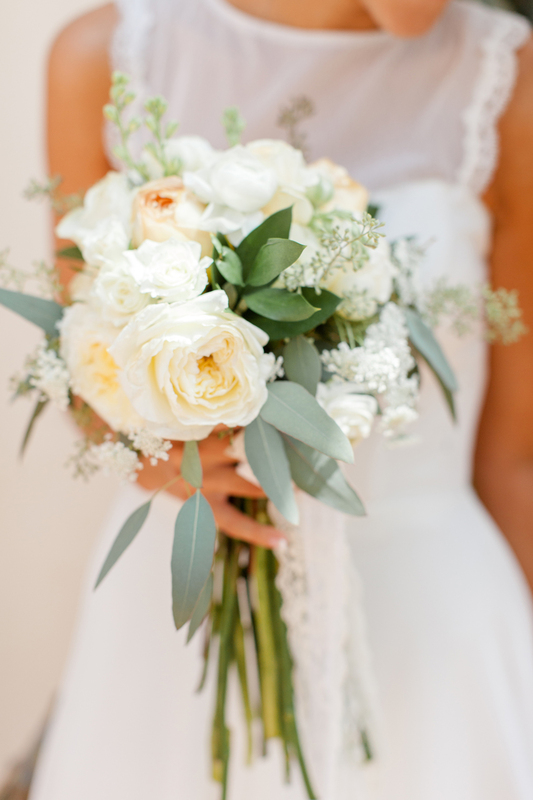 The simple, muted color palette gives this wedding such an airy and fresh feel. California's mild weather was perfect for an outdoor reception, and the decor was the definition of casual elegance with it's fresh green foliage, white linens and lace accents. See the gorgeous photography by Ben Christenson below and be sure to not miss out on the couple's awesome video by Satellite Weddings at the end!